As a trader, I am always on the lookout for another perspective on things. 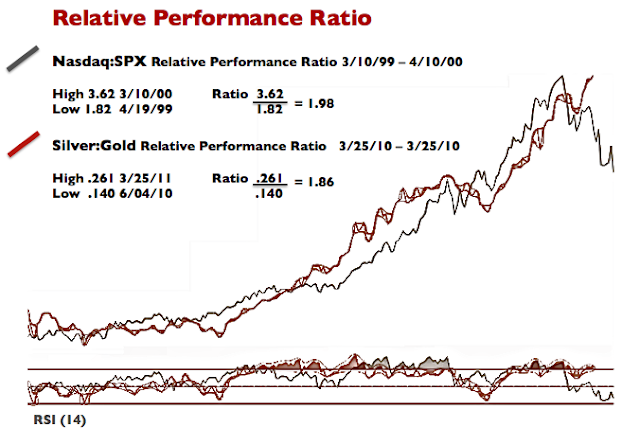 Ratio charts can provide greater context than just the commodity or stock that you are trading. And just like any data source - there are a variety of ways to interpret the results with vastly different conclusions. It is quite beneficial to keep in mind the backdrop in which your trading thesis is playing out against. 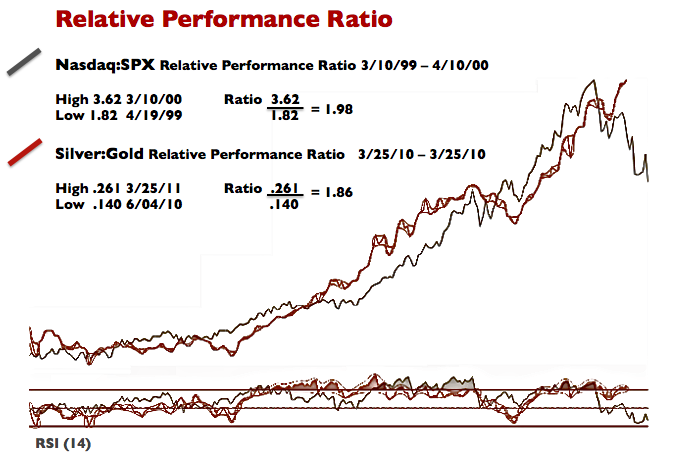 Those winds are always shifting - and it is especially the case with the gold/silver ratio. Have gold and silver been trading in sync or have there been factors disproportionately influencing one commodity more than the other? What is the economic backdrop, the currency impact - the political backdrop? 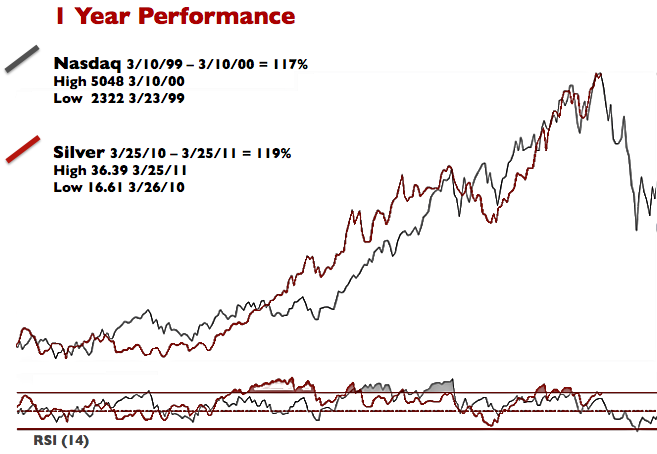 Is the commodity at the start of an uptrend? It can be a mix of quantitative and fundamental analysis in getting it right. Despite what the gold bugs will force down your throats (go ahead and fill my mailbox folks), precious metals have been trading for more than a year against a backdrop of improving economic conditions and against a currency that is basically where it was at the start of the financial crisis in 2008. Furthermore, gold and silver have primarily been trading in sync with one another other and have been by far the strongest trending asset class to be invested or trading in. For that reason, I am utilizing the ratio (inversely applied) as really just a measure of relative strength or inertia of the trend itself. As an exercise, I overlaid a Nasdaq/SPX Index circa 2000 market (1 year) over the SLV/GLD (1 year) ratio chart for this past year. The analogy and logic seemed too appropriate to ignore and the ratio correlations indicate very similar momentum signatures. You could say that I was searching for an artifact of a top. Perhaps the correlations here are just an anomaly - statisticians will be the first to point out that if you torture the data long enough - it will confess to anything. With that said, it is an interesting analogy to consider - with results that are more than just cute or simplifying. Full disclosure, I neither have a financial interest or trade in gold and silver, or the miners - but I am watching them very closely for the next pivot. This is not investment advice. Erik Swarts is not a registered investment advisor. Under no circumstances should any content from this website be used or interpreted as a recommendation for any investment or trading approach to the markets. Trading and investing can be hazardous to your wealth. Any investment decisions must in all cases be made by the reader or by his or her registered investment advisor. This is strictly for educational purposes only.